A new study gives parents, and the public, another reason to be wary of distracted teen drivers. In a study of about fifteen-hundred teen drivers, almost half admitted to using their cellphones while driving. Startlingly, the subset of teens who considered themselves safe drivers, fared no better. A whopping 88% of the “safe” teen drivers admitted to using their cell phones on the road. When asked to explain why they would take such risks, the teens expressed confidence in their ability to send a quick text message or glance at the latest social media post without causing much harm. 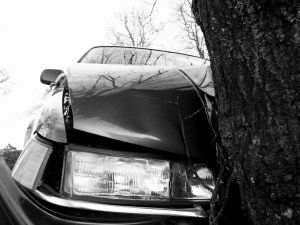 But if you or someone you love has been injured in an accident caused by a distracted driver, then you know just how much harm a momentary glance can cause. The study has some surprising implications for parents. Although many of the teens said that they used their cellphones to stay connected to their friends and social media, many others used their cellphones in order to communicate with their anxious parents. The teens reported feeling pressured to respond to their parents’ texts immediately or face punishment. If you are the parent of a California teen, refrain from texting or calling your teen on the road. Let your teen know it’s okay not to answer your (or anyone else’s) texts and calls behind the wheel. This is not only safe: it’s the law. It is illegal in California to use a handheld mobile device while driving. Drivers who fail to comply with the law could face fines or even jail time. Every 24 seconds, a driver distracted by a cell phone causes an accident. The most inexperienced drivers, teenagers, are also the most distracted drivers. So take steps today to educate your teen driver on the dangers of distracted driving. Then, continuously remind your teen driver to take basic precautions that guard against distracted driving, namely, keep cell phones and tablets out of arm’s reach, mute notifications, and pull over to the side of the road if cell phone use is necessary. If you or someone you love has been injured in a car accident caused by a distracted driver, you may be entitled to compensation for your injuries. Contact an experienced personal injury attorney in California, who will review your case and help you navigate all the available options. The initial consultation is free and you will only have to pay, if we win you compensation.